Home / Health Insurance Company Reviews / Health Insurance Company of America Inc.
A review of the Health Insurance Company of America finds HealthAmerica, a health insurer serving customers in Pennsylvania and parts of Ohio. 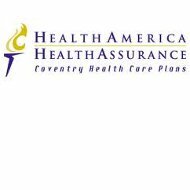 HealthAmerica has more than 35 years of experience providing health insurance policies, independently and as part of Coventry Health Care, Inc., which acquired HealthAmerica in 1988. If you don’t live in Pennsylvania or Ohio, then HealthAmerica won’t be able to insure you. Instead, enter your zip code in our free toolbox above and you’ll find health insurance rates for providers in your area. The National Committee for Quality Assurance has ranked HealthAmerica’s HMO and POS plans 14th in the country, and its Medicare plan as 28th. Overall, the company offers HMOs, PPOs, POS plans, and consumer-directed health plans. Members also have access to dental coverage through sister company Coventry Dental. HealthAmerica sells healthcare coverage for employer-sponsored plans, offering a range of different types of plans to suit the needs of businesses and their staff. Its HMO plan represents the bare minimum in healthcare coverage, covering policyholders for preventative care services. Policyholders must choose from participating providers and area allowed to change their primary care physician once a month. To be insured, all services must be medically necessary and performed by a participating provider. HealthAmerica’s PPO plan allows customers to choose any provider or hospital for their care, but coverage may not be the same for all. If customers choose preferred providers, they’ll have lower co-pays and out-of-pocket expenses. The company’s POS, or Point-of-Service, plan has features that combine the HMO and PPO plans. POS policyholders choose their level of coverage, as well as their primary care physician from a networking of participating providers. Preventative healthcare coverage is provided, while other procedures must be medically necessary. Customers can see specialists without a referral, but if they choose to go to providers who are out of network, they’ll need to pay more. Lastly, HealthAmerica’s Coventry Consumer Choice (C3) plan is a consumer-directed health plan that gives the policyholder control of healthcare spending. Employers may choose to make tax-free contributions or pre-tax payroll deductions. They may also choose to offer flexible spending accounts, health savings accounts, or health reimbursement plans. Thanks to its relationship to Coventry Dental, HealthAmerica is also able to offer a dental PPO plan with a national network of more than 88,000 dentists. Consumers may choose to stay in network or go out of network and pay more. The dental plan focuses on preventative care with oral evaluations and analysis, but has options for orthodontics. Except for the intern position, all of these are full-time opportunities. The company also boasts a business casual work environment and a community service program. The company believes in helping its employees continue to learn, so it offers in-house job-specific training. Its training and development program includes instructor-led classroom training, coaching and mentoring, computer-based training, and tutorials. Additionally, Coventry Health Care has partnered with the University of Phoenix to offer college credits for some classes taken at work, with prior approval. Shopping for health insurance is quick and easy! Just put your zip code in the toolbox below and we’ll help you out with the health insurance rates of insurance providers in your area.